We're excited to offer this class again! 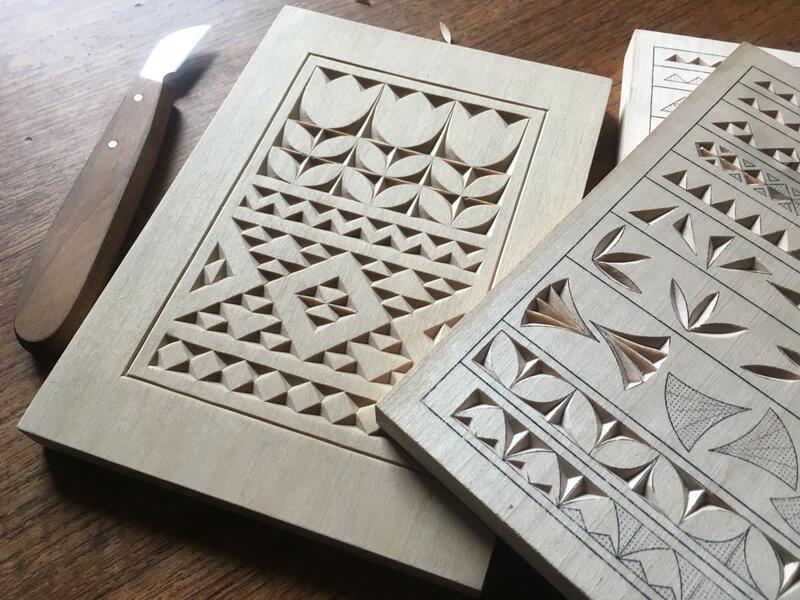 Learn the fundamentals of chip carving, a decorative technique in which faceted “chips” are removed from a wooden surface to produce geometric patterns, stylized images, lettering and ornamentation. Through demonstrations, guided practice, skill-building exercises, and the completion of a decorative wall hanging, students will leave class with all the knowledge, experience and confidence to pursue chip carving on their own. Class fee: $250 instruction fee + $25 materials fee (total = $275). Materials fee will include wood, sharpening equipment and a selection of patterns.